What Can A Fort Worth Truck Wreck Lawyer Do For Me? You've Been Hurt in an Accident with a Big Rig. Now What? Let's imagine a common scenario. You were hurt in an accident with an 18-wheeler that was clearly the other driver's fault. So far you've missed a few days - or weeks - of work, and you've been in and out of the hospital for treatment. Lucky for you, your health insurance leaves you with only a few thousand dollars of out-of-pocket expenses and you have some sick leave saved up, so this really isn't costing you much. But what happens when those vacation days run out? Will you be healed and ready to return to work? Are you sure? And if you're wrong, who's going to pay your bills? Not just your medical bills, but your mortgage, your electricity, your car payment, the groceries? What happens if there's a medical complication that leaves you unable to return to work at all? What will you do then? First, you should know that the truck's insurance company is going to try to get you to settle quickly - it's in their best interest to do so, and their offer might seem tempting. After all, you want to get it over and done with, and you're willing to take whatever you can get. However, before you settle your accident claim, it's important to weigh your options. Too often victims take a low offer from the other party, not thinking about future expenses or lifelong issues they now might have to endure. Unless you're fully recovered, you can't truly know what your case is worth. You may need unforeseen surgery, or you may fall into depression - this isn't uncommon after a serious accident. Those are things you deserve to be compensated for. As tempting as it is to just try and put the wreck behind you, the reality is that by accepting the truck's insurance company's initial offer, you are making things worse for yourself. The law gives you the right to full and fair compensation. It is up to you to take it. If you think you're saving money by foregoing an attorney, you haven't considered that hiring a lawyer for your 18-wheeler accident will actually earn you more, since lawyers will win you more money. 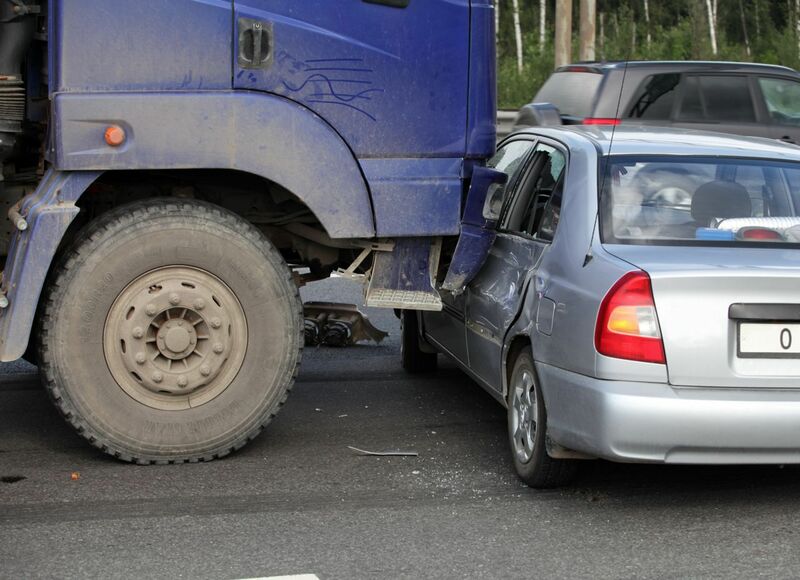 Truck accident lawyers can do a lot more than just win you fair compensation for your injuries. For instance, at my firm we often help victims find a doctor that's right for them, taking away the stress of the search. I also provide my clients with a letter of protection that enables them to receive medical care even without health insurance. We also give our clients options; it's possibly the greatest benefit of hiring an attorney. They'll do the work for you. At my firm, we contact witnesses, negotiate with the insurance company and will try the case before a jury, if necessary. We'll fight your battle for you so that you can concentrate on healing. An 18-wheeler accident attorney can investigate your case from every angle. Commercial trucking companies are known for deviously hiding evidence that could incriminate their drivers. If you get hit by a big rig, you must investigate the accident quickly - otherwise crucial evidence could disappear. An accident attorney can help you with that. At the Anderson Law Firm, we will begin working on your case as soon as you call us. We can obtain pivotal evidence that could make a huge difference in your truck accident claim and the damages you are able to recover. We will investigate your case from every angle to make sure you are in the best possible position for negotiations or trial. We often hire an accident reconstructionist to analyze the scene before evidence dissappears. You don't have to take the first offer the insurance company gives you. In just one meeting with our truck accident attorneys, we can go over your legal options and give you a basic idea of what your case could be worth.